Finland; the present day. Investigative reporter Janne Vuori is sent an anonymous message about a cover-up of an environmental disaster causes by one of North Finland’s flagship companies, Finn Mining Limited. His quest for the truth leads him into danger, and puts pressure on his already fragile relationship with his family. This stylish page-turner is narrated through two key characters: in the first person by Janne himself, and in the third person, following a mysterious assassain who is also involved in the events, although we are only gradually shown how – this strand of the plot has a particularly good end twist. Janne is a compulsive journalist, blocking out everything else once he’s on the track of a story – there were times when I definitely sympathised with his partner, Pauliina, particularly when he kept forgetting to pick up their daughter, and when his activities put his family at risk. However he’s also quick-witted in following the threads of this intricate plot, and the action in the novel keeps going.The description gives a real feel of wintry Finland, and the differences between Helsinki and the country highlighted – not least in the indifference of politicians to places that have few voters and no news cameras, and the way big businesses can hold country areas to ransom with offers of work. The environmental plot looks in detail at the viability of mining in North Finland, following a real-life example, but the main story is of a father’s relationship with the son he abandoned as a baby. An elegantly-written environmental thriller, combining message with action, and with an unusual supporting character in the assassain, Emil. Highly recommended. Antti Tuomainen was born in 1971. He was an award-winning copywriter when he made his literary debut in 2007 as a suspense author. The critically acclaimed My Brother's Keeper was published two years later. 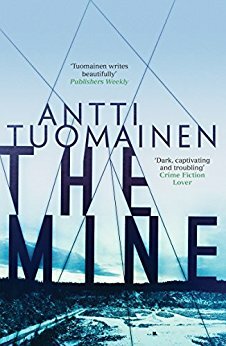 In 2011 Tuomainen's third novel, The Healer, was awarded the Clue Award for 'Best Finnish Crime Novel of 2011' and was shortlisted for the Glass Key Award. The Finnish press labeled The Healer - the story of a writer desperately searching for his missing wife in a post-apocalyptic Helsinki - 'unputdownable'. Two years later in 2013 they crowned Tuomainen "The king of Helsinki Noir" when Dark as my Heart was published. 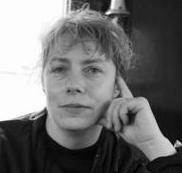 With a piercing and evocative style, Tuomainen is one of the first to challenge the Scandinavian crime genre formula.